This year, spending on Halloween is expected to reach an average of $86.13 per person, up from $82.93 last year, according to the National Retail Federation’s annual survey on Halloween. Halloween was originally a festival that marked the end of harvest, and was a time of sharing with the dead as they crossed over into the other world. It has been a way to recognize and play with death, but over the last 50 to 60 years, U.S.-based candy companies promoted the idea that trick-or-treating shouldn’t be rewarded with coins, nuts, fruit or toys, but with chocolates and other candy. In addition, the top 10 advertisers spent $29.2 million in 2014 on advertising for Halloween, with Walmart topping the list, spending nearly $5 million. Beyond the spending, 48 percent of adults plan to dress up, with witches, Batman and animal costumes among the most popular choices. Superheroes were at the top of the list for children, and hot dogs and pumpkins for pets. Some 71 percent plan to hand out candy, 49 percent will decorate their home or yard, 46 percent will carve a pumpkin and 16 percent will dress pets in costumes. Some of the most profitable categories, according to retailers, are home decor and accessories. This could be because people spend time and money on outdoing their neighbors, one participant in the 2016 survey of businesses said. Further, the haunted house industry, according to a Statista analysis, has been “embraced by Corporate America” with millions being spent on sponsorship deals with soft drink, fast food and cell phone brands. The money spent on costumes could send 98,209 students to college for four years each (average in-state college tuition is $34,620 for four years). The money spent on decorations could provide at least 4.5 million women with free birth control pills for a year (the pill costs up to $600 per year). The money spent on greeting cards could reforest the U.S. (at an average of $100per acre to prepare the site, $70 per acre to replant or reseed, 2.4 million acres of land could be reforested. The National Forest Foundation says at least 1 million acres of land in the U.S. need reforestation). The money spent on haunted attractions could make condoms free for a year (450 million condoms are sold annually in the U.S., at average cost of $0.45 per condom — for a total spend of $202 million). So, added all up, the money being spent on Halloween paraphernalia could instead put some people through college, feed the homeless, make contraception more affordable and reforest the country. Does your Halloween costume contain toxins? “Since these costumes and decorations are often thrown away after one use, they end up in landfills, where they break down slowly, leaching toxins. Plastics also end up in waterways and harm a wide variety of wildlife,” he said. Indeed, studies have found a direct correlation between materialism and being susceptible to mental health disorders. People who consume more also see a decrease in well-being, which includes things like sense of purpose, autonomy and good interpersonal relationships. A controlled study published in Psychological Sciencealso found that people who repeatedly see advertising that portrays them as consumers rather than citizens experience immediate increases in anxiety and depression and become more selfish. Costumes and decor are made overseas in sweatshops. 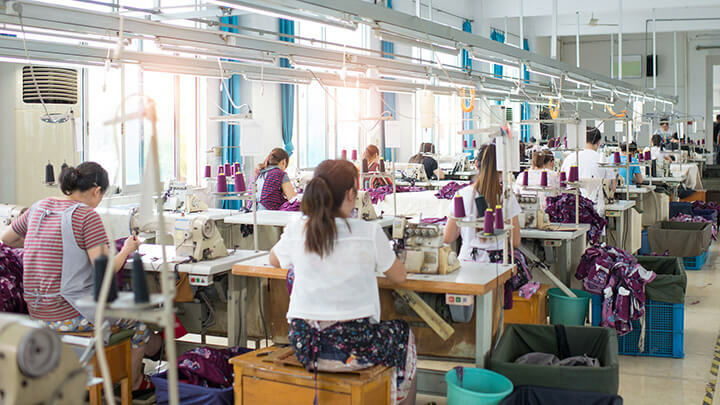 The manufacturing process of many Halloween goods also comes with its own price, as “costumes and décor are generally manufactured overseas in sweatshops with long hours and with workers frequently exposed to toxins. Chocolate mostly comes from cocoa farms in West Africa, where farmers are paid far less than a living wage, and many children toil on farms instead of attending school,” Larsen pointed out. “You can also work with your neighbors to create a costume swap. Everyone brings old costumes and puts them out on tables organized by age group or size. Then, people pick a new costume and go home with it for Halloween,” he suggested. Larsen believes it’s important to aim for fair trade chocolate, which pays farmers a dignified wage, and his organization recommends this list of other green treats. Williams and New Dream stress the importance of reusing decorations, and making them out of materials like corn husks, gourds and straw bales. For Halloween and the upcoming holiday seasons, New Dreams is also promoting a resource called the GiveLIst, which is the opposite of a traditional registry. Here, adults and children can register their home-made creations, and make them available for others to choose from. Finally, Global Exchange in the past has promoted the idea of reverse trick-or-treating, where children give out fair trade chocolate along with information sheets, instead of asking for candy. How are you making Halloween meaningful?